I’m making an effort to catch up on, well, everything, and since I have two short books to tell you about, I thought I’d do a two in one and tell you about them in one go. 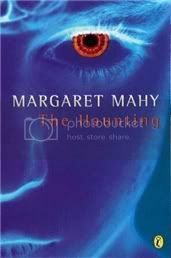 They’re The Haunting by Margaret Mahy and Chiggers by Hope Larson. Don't let the cover of The Haunting deceive you: it’s not nearly as creepy as it seems. However, this is not at all a bad thing. The story begins when Barney, the youngest of three siblings, has a vision: he sees a young boy in old-fashioned blue velvet who tells him, “Barnabas is dead! I’m going to be very lonely.” Barnabas is Barney’s own name, and so he understandably assumes that the apparition is announcing his own death, and the fright is such that he faints. When he comes to, he’s told that his great-uncle Barnabas has passed away. I can’t tell you more about what this ghostly vision means, but believe me, it’s not what you're thinking. As I was saying, I was expecting The Haunting to be more of a traditional ghost story, but I couldn’t be happier with what I got instead. I really can’t say much more about the plot, but it involves magic and ordinary lives and family dynamics and secrets. It reminded me a lot of Diana Wynne Jones, actually, which is a very good thing. The Haunting is as much Barney’s story as it is the story of his sisters Tabitha and Troy. It’s also the story of their families, both nuclear and extended. The children’s mother passed away when Barney was born, and they now have a stepmother, Claire, who is herself expecting a child. This is a source of some anxieties, but not of the kind you’d think. The children love Claire wholeheartedly; she’s the heart and soul of the family. How wonderful to read a fantasy in which a stepmother is a completely positive figure! While she brings warmth to the everyday routine of families, she lays bare their predicaments – of the grown-ups as much as the children. None of her characters exists simply to manipulate the plot: each trails his or her own history, their own reason for being the way they are. By the end of the book you realize there are, in truth, no evil villains, only confused, despairing people. The Haunting is another Carnegie Medal winner who gets two very enthusiastic thumbs up from me. 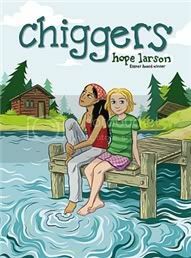 Hope Larson’s Chiggers is a quiet and bittersweet story set during its protagonist's, Abby, last summer at summer camp. Abby is anxious to meet the friends she made in previous years, but she’s disappointed to realize that everyone has changed: Rose is now a cabin assistant and has little time to spend with her, and Beth seems to have become too cool for Abby. She befriends a new girl, Shasta, who was hit by lightening a few months before and who everyone finds a little strange. And she also begins to spend time with Teal, one of the nerds, and realizes that she feels more at home with him than she ever did with the “cool” people. I’m afraid I let too much time pass between reading Chiggers and writing this post to be able to do it justice, which is the reason why this will be short. But I hope that doesn't give you the impression I didn't enjoy it. The story is what you’d expect from the synopsis: a story about a teen struggling with belonging, identity and social pressure, and a story about friendship and first crushes. 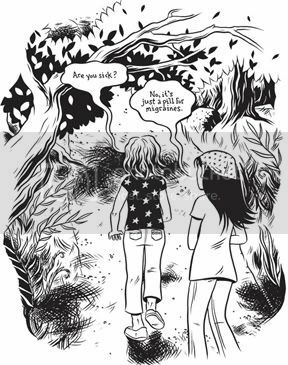 Perhaps in another medium it would be ordinary, but Hope Larson’s art really sets it apart. All I’d read by Larson before was Salamander Dream, which I loved, but which is more dreamy and less…narrative than Chiggers is. Even though she used a more traditional form of storytelling this time, Larson’s narrative is still extremely visual. I think that if I were a less experienced reader of comics, I might have felt a little lost. A lot of what happens, and much of the expressiveness and emotional tone, is simply implied in the artwork. 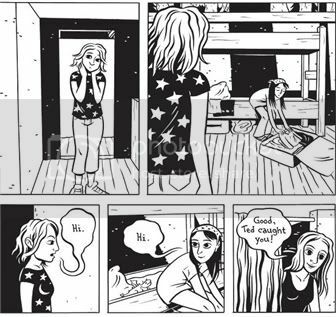 (And let me take this chance to share this wonderful article about comics literacy from the First Second Books blog.) But if you read it slowly and allow yourself to mind the details, this will make for a wonderful reading experience. For more opinions, visit She Reads and Reads, Maw Books, Bookworm Readers, In the Tower and Welcome to my Tweendom. And as always, let me know if I missed your post. One last thing: I edited yesterday's post to include this info, but because I want to make sure nobody misses it, here it is again: The Book Bloggers Holiday Swap (a Secret Santa gift exchange; click the link for more info) is back, and you have until the 12th of November to sign up. Why should you join? Well, it's fun! 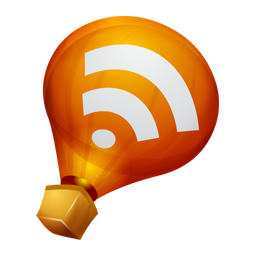 And more importantly, you might make new friends and discover new blogs to enjoy. Last year, my "santee" was Tarie, whose blog was at the time unknown to me. I have been reading it faithfully and very much enjoying it for a year now. And my Santa, Gaskella, is smart and talented and lovely, and made me the most amazing Christmas ornaments. I hope you'll join the fun! And if you could help out by spreading the word on your blog, we'd be very grateful! I just read Gray Horses by Hope Larson. I love her style of drawing. Sadly, I've discovered I'm REALLY REALLY BAD at writing reviews of graphic novels, so I ended up drafting up a mini-review for that one even though I loved it. You're sort of evil. ;) Not really, of course...but holy cow, did you leave me intrigued about The Haunting! I had tons of fun with the Secret Santa last year, so I've already signed up for this year. I definitely want The Haunting. I need to read up on this Secret Santa. I am not clear as what I would have to do. Amanda: I think graphic novels reviews get easier with practice! I'm glad to hear you loved Gray Horses - I must get my hands on it! Vivienne, have you read the FAQ? If after you do you still have any questions, let me know and I'll be happy to help! I really liked Chiggers but I haven't heard of The haunting....looks good though! This will be my first time participating in the Holiday Swap..can't wait! I'm definitely signing up for the swap. Heading there now. Thanks very much, Ana! oh what fun,its like secret santa,cool. I have got to read the first book, it would go well n my Halloween read list. Sherry: It was a great Halloween read! And yes, it's a secret santa gift exchange :D I hope you'll join! Oooh, I love Margaret Mahy. Well, the little I've read by her. Haven't read this one yet but I bet I'll love it. Have you tried The Changeover? It was one of my favourite books when I was a young teen. I just got it out of the library again after over ten years and I'm looking forward to it. The Haunting looks very intriguing, I will be checking it out! Also, I am loving the Secret Santa idea and have registered to participate! Kiirstin, I haven't yet, but it's definitely on ye olde list! Bart: lol :P The Changeover is also on my list! I love the cover of The Haunting. 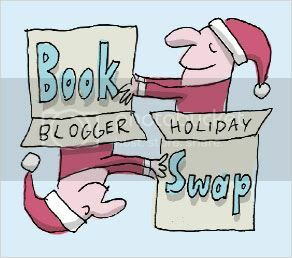 So excited to see the return of the Book Blogger Holiday Swap! Thank you so much for organizing it!